Since 2001, Journalism That Matters has convened 18 conversations among the diverse and evolving members of the news and information ecosystem. 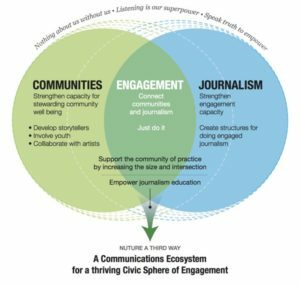 Build capacity to extend engagement work to news organizations of all types and sizes. To get involved, join JTM or contact us.